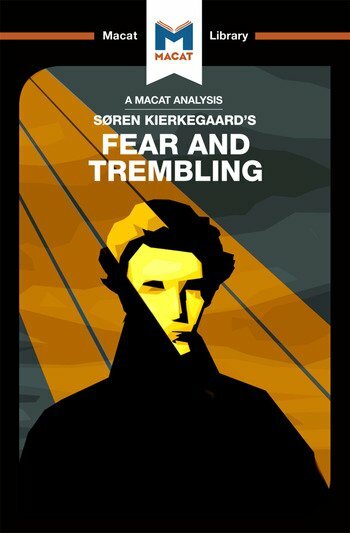 Danish philosopher Søren Kierkegaard’s 1843 book Fear and Trembling shows precisely why he is regarded as one of the most significant and creative philosophers of the nineteenth century. Creative thinkers can be many things, but one of their common attributes is an ability to redefine, reframe and reconsider problems from novel angles. In Kierkegaard’s case, he chose to approach the problems of faith and ethics in a deliberately artful and non-systematic way. Writing under the pseudonym “John the Silent,” he declared that he was “nothing of a philosopher,” but an “amateur,” wanting to write poetically and elegantly about the things that fascinated him. While Fear and Trembling is very much the work of a philosopher, Kierkegaard’s protests showed his intent to take a different path, approaching his topic like no one else before him. The book goes on to ask what the real nature of our personal relationship with God might be, and how faith might interact with ethics. What, Kierkegaard asks, can we make of God asking Abraham to sacrifice his only son, and of Abraham obeying? Arguing the unorthodox position that in following God’s incomprehensible will Abraham had acted ethically, Kierkegaard set out the parameters of a moral argument that remains strikingly novel over a 150 years later. Brittany Pheiffer Noble is a graduate student at Columbia University and holds a Masters degree from Yale University’s Divinity School, where she studied Religion and Theology. Her research focuses on Literary and Aesthetic theory, alongside Theology and History. She is the translator of Arab Orthodox Christians Under the Ottomans 1516–1831 (2016) and has taught at Sciences Po, Columbia and Dartmouth.